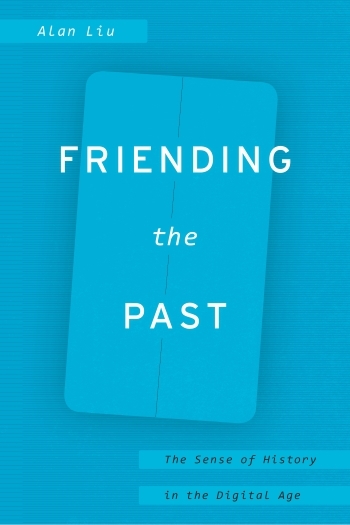 Friending the Past: The Sense of History in the Digital Age. Chicago: University of Chicago Press, 2018 (forthcoming November 2018). Can today’s society, increasingly captivated by a constant flow of information, share a sense of history? How did our media-making forebears balance the tension between the present and the absent, the individual and the collective, the static and the dynamic—and how do our current digital networks disrupt these same balances? Can our social media, with its fleeting nature, even be considered social at all? Interlaced among these inquiries, Liu shows how extensive “network archaeologies” can be constructed as novel ways of thinking about our affiliations with time and with each other. These conceptual architectures of period and age are also always media structures, scaffolded with the outlines of what we mean by history. Thinking about our own time, Liu wonders if the digital, networked future can sustain a similar sense of history. Chapter 1 studies the change from prior senses of history to today’s “real time” sense of history—or instant sense of community—of social networks. How was the equivalent of a sense of history experienced, and mediated, in prehistorical oral cultures? How did print culture at the height of the history of the book, which coincided with narrative historicism in the mode of Leopold von Ranke (Historismus), alter the sense of history? And how do “Web 2.0” and social networking today yet again change the sense of history? Can today’s society “friend” past ones to imagine, and absorb, prior senses of history as a layered, enrichening texture of the present? What continuities—for example, of Internet transmissions following the routes once forced by imperial roads across conquered lands—lock the digital present to its historical past? But, also, what discontinuities allow past historicism and today’s information empire to challenge each other’s assumptions, thus enabling a more humane texture of the present mindful of the past? This chapter studies “narratives of new media encounter” (accounts of how individuals and societies react to the introduction of writing, radio, television, the Internet, Web 2.0, and so on) to suggest that major historical changes in the sociocultural order are mirrored in narratives of media history. Often, as in the case of Marshall McLuhan’s writings, such narratives follow a plot of progressivist media determinism—of necessary change from old media to new media—even as they also reveal the more ambivalent experience of a “contact zone” between civilizations. At once descriptive and interpretive, tales of new media encounter are a foundational form of media theory—a kind of media archaeology of media theory. They show how societies experience history as communication and information media, and communication and information media as history. They register the experience of history as media history. Finishing on the promising example of a recent collection of essays on the digital humanities, the chapter concludes by asking the critical question: what is an imaginatively enrichening rather than determinist and constraining narrative of new media encounter? Chapter 3: When Was Linearity? Linearists, as they might be called, have staked deep claims of cultural and other value on the linear exposition of history, narrative, argument, and other forms of thought. Theorists of networks, hypertext, and other domains of today’s digital era stake equally significant claims on the nonlinear, often represented emblematically in network-style or other postlinear graphical visualizations. Indeed, they often elevate the importance of graphical knowledge in general. Informed by media history extending from oral culture and the history of the book to digital new media, this chapter asks the simplifying question: what if there never was any linearity to defend or to contest? What if the idea of linearity has always been an ideology deployed through graphical knowledge systems that are realized in graphics as the visualization of any era’s idea of authoritative linearity—for example, who gets to go to the front of a line and why—and ultimately of its sense of history? The chapter makes Wallace Stevens’s poem “The Idea of Order at Key West” (with its invocation of “meaningless plungings” yet also visualization of seas “portioned” into fixed “emblazoned zones”) a recurrent poetic touchstone of its argument–in part by using digital humanities text analysis methods to render the poem as visualizations. Chapter 4 begins on the paradigmatic instance of a hybrid print/digital work at the onset of the digital networked era—Agrippa (A Book of the Dead) by Dennis Ashbaugh, Kevin Begos, Jr., and William Gibson (1992)—to call for a method of “network archaeology” extending media archaeology. Network archaeology facilitates understanding the sense of history in our postlinear age of digital networks filled with buzzing, flitting ephemeral and dynamic artifacts making a mockery of archiving yet urgently requiring methods not just of archiving but of open, transparent archiving. 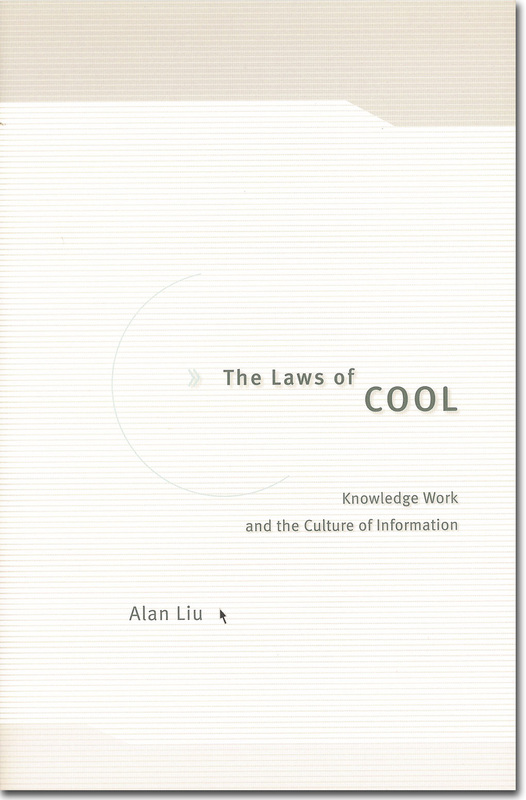 Past eras created networked artifacts and systems in their own way. The chapter braids together research on web archiving, scientific workflows (data-analysis workflows facilitating reproducible research), data provenance, and digital humanities prosopography to make the case for remembering networks through new digital archiving methods. Remembering networks, it argues, is foundational for providing our networked age with its appropriate, distinctive sense of history.